Spanish Language Division Annual Dinner: Be Our Guest! We are pleased to announce the 2015 Spanish Language Division (SPD) Annual Dinner and invite you to celebrate our traditional Muchas culturas, un solo idioma event with us at Havana 1957-Brickell! 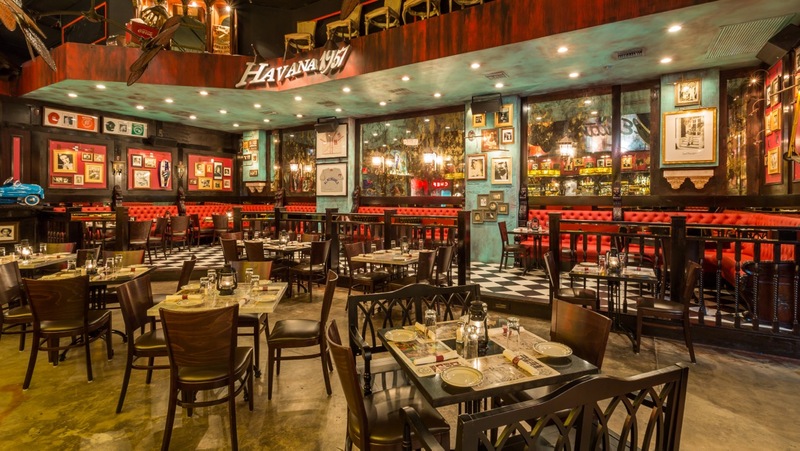 Havana 1957 combines the flavors of traditional Cuban cuisine with the enchantment and sophistication of Havana in the 1950’s. Come join us for dinner… Stay for music and dancing! Thursday, November 5, 2015 at 7:00 p.m.
10-15 minute walk or free tram service from the Hyatt Regency Miami. Ham croquettes, bite size pork chunks, plantain chips, fried yucca, tostones and tamales with seasoned pork. Slow roasted chicken in our famous Cuban sauce, sweet plantains, white rice & black beans, also delicious Cuban gravy. Chicken marinated in citrus juice, cooked with our delicious criolla sauce, served with white rice and sweet plantains and bell peppers. Ground beef stew cooked in our unique criolla sauce and raisins, served with white rice and black beans. Slow oven roasted pork leg with Cuban Mojo, served with white rice and sweet plantains. Shredded beef in a delicious onion and criolla sauce, served with white rice and black beans. Price per person: $55.00, includes tax and gratuity. Please contact Francesca Samuel at alacartetrans@msn.com for more information. There is limited seating, so please register early!